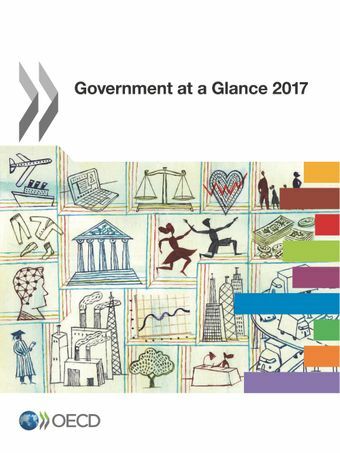 Government at a Glance 2017 provides the latest available data on public administrations in OECD countries. Where possible, it also reports data for Brazil, China, Colombia, Costa Rica, India, Indonesia, Lithuania, the Russian Federation, and South Africa. This edition contains new indicators on public sector emploympent, institutions, budgeting practices and procedures, regulatory governance, risk management and communication, open government data and public sector innovation. This edition also includes for the first time a number of scorecards comparing the level of access, responsiveness and quality of services in three key areas: health care, education and justice.Each indicator in the publication is presented in a user-friendly format, consisting of graphs and/or charts illustrating variations across countries and over time, brief descriptive analyses highlighting the major findings conveyed by the data, and a methodological section on the definition of the indicator and any limitations in data comparability. A database containing qualitative and quantitative indicators on government is available on line. It is updated twice a year as new data are released.